We are all aware that David has won this prize but many of us may not know just how much he has done in the past few years, so now seems like a good time to summarise this. 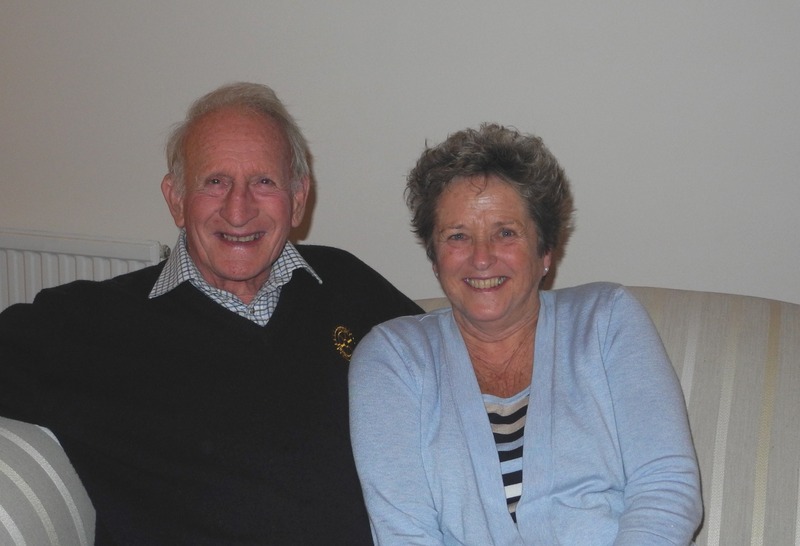 After retirement David Pearson an engineer, test pilot and BA airline pilot, accompanied his wife Marjorie to Uganda where she was doing some work for VSO. Within days of their arrival Unicef had recruited David as a projects officer, and later he worked for Mother Saradhadevi Social Service Society in Tamil Nadu, India. David joined the Rotary Club of Sherborne Castles in 2006. In 2007 David visited Sri Lanka to initiate a project with the Rotary Club of Colombo South acting as the local partner, to build 6 wells in the village of Vilankulan near Trincomalee. The village had been devastated by both the civil war and the tsunami in 2004. Houses had been provided for the displaced population but they lacked water and sanitation. Having visited Trincomalee to assess the situation David returned to Sherborne to raise the $12,500 needed to construct the wells. With a Rotary Foundation matching grant and funds raised by the Rotary Club of Sherborne Castles he quickly achieved the target. In 2008-9 he returned to Sri Lanka to supervise the construction work. The wells now provide fresh water for over 85 families. Since 2010 David and Marjorie have made annual trips to Malawi to work with the Joshua Trust on several community based initiatives in the district around the village of Pensulo near Blantyre. David noticed that villagers had to walk for over 10 kilometres to the nearest mill to grind their maze, and 50 families walked 5 kilometres to find water which was often polluted. David set to work to solve these problems and initially he designed and oversaw the construction of a Maize Mill and associated rainwater storage tanks at Pensulo. He worked with the back-up of our Rotary club’s Foundation committee and the Rotary Foundation to initiate and oversee these life changing projects for the local population. The £3000 needed for the construction work was raised with the help of the Rotary Club of Sherborne Castles. He used the funds to buy the materials needed and organised local labour to build both the mill and the two adjacent rainwater storage tanks on land owned by the Joshua Trust. The rainwater harvesting system takes water from the roof of the mill during the rainy season and has a capacity to store 30,000 litres. The mill was completed in early 2013 and is now working to full capacity, 12 hours a day. In addition to employing 4 local people the mill generates a profit which is used to support orphans and old people who no longer have family members to take care of them. During this period David also designed and oversaw the construction of 6 Feeding Centres where orphans and vulnerable children receive one or two meals a day. The centres comprise a kitchen and covered feeding area. The £5000 needed for their construction being raised by him through the Rotary Club of Sherborne Castles and the Inner Wheel Club of Sherborne. David’s largest project to date has been the construction of the Milo River bridge. Children had to cross the River Milo every day to go to school and as there was no bridge, each year 4-5 children lost their lives during the rainy season trying to make the crossing. Many children simply did not go to school fearing the river and often it was not possible to deliver food to the Feeding Centre. This project which David worked on during 2012-13 was match funded by Rotary Foundation with the Rotary Club of Limbe in Blantyre acting as the local partner club. David designed a road bridge with a local contractor and raised the £20,000 needed through the Rotary Club of Sherborne Castles, Rotary clubs from Rotary District 1200 and a Rotary Foundation matching grant. In addition approach roads were built to connect to the bridge which is capable of supporting a 30 ton lorry. 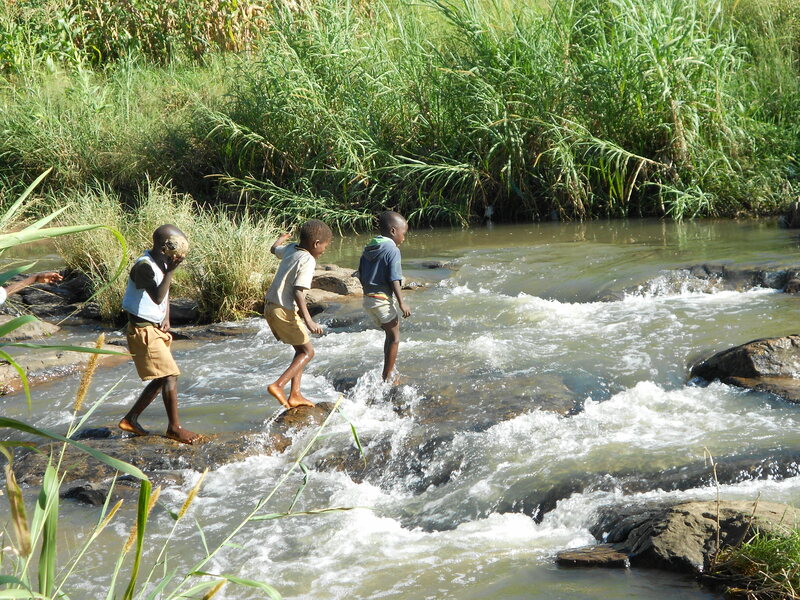 During the rainy season of 2012-13 for the first time, no children lost their lives crossing the Milo River. During his visits David has had a pivotal role in bringing electricity to the area. Over several years during his stays he has met with and cajoled the local electricity supply company into carrying out the work. The substantial costs involved have been financed through the Joshua Trust and private donations secured by David. Without the electrical supply it needed the Maize Mill stood idle for over a year. David’s tenacity however enabled the Maize Mill to be commissioned in March 2013 when the three phase power supply was finally connected. In addition David was able to extend the electrical supply to the nearby Pensulo Clinic. This has had a dramatic effect on the health of the local population as drugs can now be kept refrigerated and available for use. Also for the first time in history babies can be born at night without the aid of a lamp or torch. In recognition of his services in Sri Lanka and Malawi the Rotary Club of Sherborne Castles honoured David with a Paul Harris Fellow award on the 27th June 2011. David’s latest project is to build a footbridge to enable children and their parents to cross the nearby Mudi River from other local villages to get to the school, clinic and Maize Mill. It has been shown in other areas where such access has been provided on average 12% more children will go to school, there will be a 24% improvement in health care as the local clinic becomes available to all and an 18% increase in women able to take their produce to the Maize Mill and market. He is now in the process of raising the £8000 needed for its construction. He returns to Malawi in January 2014. Whilst there he is aiming to build another feeding kitchen with funds that he has raised himself this autumn. David has raised the finances for these projects through the Rotary Club of Sherborne Castles, Rotary Foundation, Rotary clubs from Rotary District 1200, the Inner Wheel Club of Sherborne, personal fundraising events and donations. He designs and supervises the construction and returns to ensure that they have been completed to the relevant specification. David takes no fee or living allowance and ensures that all the money raised is spent on the projects themselves and not on administration or wages. Thanks to Julian Halsby who nominated David for this award. Dear editor, Mr David Pearson’s early career sounds familiar to me, as we might have been school friends; and later, collegues at B.Ae Woodford. I would be glad if you could make him aware of my interest in his recent works. It would be nice to know either way. It is many years since we met. Hi Geoff, David has tried unsuccessfully to contact you by email. Do you have another contact address which he can use?